I took this shot of a man coming down the escalator of a seemingly empty station. It reminds me of thriller movies when, that extra the camera has been following walks into an empty public space, only to be attacked by the film’s malevolent entity. 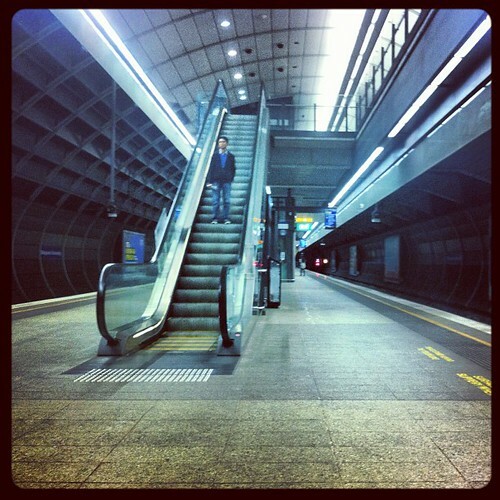 This entry was posted in Photos and tagged horror, movie, photo, train station. Bookmark the permalink.